Home » Canada » What Is The Cost Of Living In Canada? Before we discuss the average monthly cost of living in Canada, let us know a bit about the country. The country is known for its beautiful geographical features and acceptance of diversity. This nation also happens to be one of the most multicultural countries in the world. The landscape is varied in nature with beautiful and serene lakes and rivers, glorious mountains, valleys covered in forests and rolling hills and plains. It indeed is a perfect destination for anyone who wants to live in a great country. Besides, this nation is well known for its government that is socially progressive, universal health care programmes, high quality of life, and for its kind and friendly people. No wonder this country happens to be one of the top destinations in the world that people consider migrating to in spite of the extremely cold temperatures in the winters. If you are planning to move to Canada one of the first things to consider is how much it will cost you to move to that place and the cost of living in Canada. You could be moving to Canada as a student or an employee. You could also be moving there as a permanent resident. Whatever your reason to migrate to Canada, you need to have a clear understanding of the cost of living in this nation. Let’s take a look at how much it would cost a person to live in Canada. Given below is the list of the most expensive cities to live in Canada. When you choose to live in a place outside the major cities of Canada you can cut down on your cost of living. Some of the cheapest places to live in Canada are given below. Just like any other country the residential costs and rent happen to be the major portion of the cost of living in Canada. 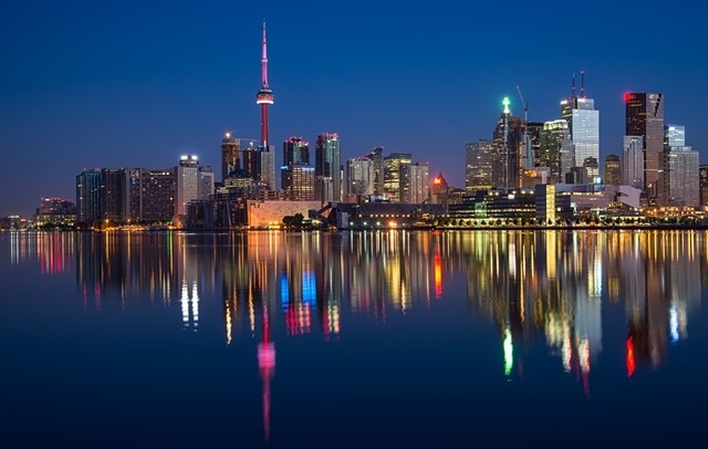 Toronto in Ontario and Vancouver in British Columbia are the most popular cities in Canada chosen by people to migrate. Hence, these two remain the most expensive of all cities in Canada when it comes to making your place of residence. Renting a furnished apartment in an expensive residential area could come up to at least 2,500 Canadian dollars. Choosing to live in cities like Ottawa, Montreal or Calgary could bring down the costs of housing and rent slightly. The rent could come around 2,000 Canadian dollars for a furnished apartment in these places. You could also enjoy a high-quality life in these cities just like you would do in Vancouver. If you are looking for a much quieter and peaceful life you could skip the cities for a smaller town or a remote area. The housing costs and rent in such places are much cheaper than what you pay in the cities. You could find a one-roomed furnished apartment for less than 1,000 Canadian dollars. Let’s take a look at the rental charges for a house in some of the major places in Canada for 2019. Besides rental charges a person living in Canada has to pay a monthly charge for utilities like electricity, water, heating, and gas. On average, a person living in Canada pays around 90-95 CAD (Canadian Dollars) per month as utility charges. If you are single or a student you can save on housing charges by sharing a flat. Students can also consider applying for a University accommodation to cut down housing charges. Even though the cost of groceries and food in Canada is not considered too expensive the prices could be slightly higher than the cost of food in countries like the USA. This is because a major portion of the food and groceries that you get in Canada are imported due to the extremely cold weather in the country. However, if you compare the prices to many of the European nations the cost of food is cheaper in Canada. Going out for a meal or dinner would be expensive in cities like Toronto, Vancouver or Montreal. It is much cheaper when you dine at a hotel in a remote town or small cities. It could cost you between 110-120 CAD inexpensive restaurants in one of the major cities. Costs may go down to 65-75 CAD in restaurants that fall in the mid-range. A meal at a fast food chain like Mc Donald’s or Subway would be much cheaper. It could cost you somewhere around 10-15 CAD. A soft drink could cost 2- 2.50 CAD and a beer could go up to a maximum of 7 or 8 CAD. Canada does have a free health care system for its citizens and permanent residents. It is a basic healthcare plan that is funded by the government through the taxes collected from taxpayers. This basic health care plan could vary depending on the province you live in. It is important to keep in mind that there are several things that are not covered in a basic health care plan. To get everything covered when it comes to health care purchasing of additional coverage would be necessary. If you are a student or someone who does not have health coverage in Canada medical charges would be quite expensive. A short consultation with a doctor would cost around 100 CAD. Even though the charges of medicines are considered reasonable in Canada it could seem high if you are a student or if you moved to the country recently on a long term visa. Antibiotics could cost around 18-20 Canadian dollars. In Canada, you have access to public transportation only in urban areas. So most of the Canadians depend on their own vehicles. The cost of public transportation is quite expensive in Canada. Hence, the majority of people prefer to buy a vehicle for themselves to cut down the cost of traveling. Fuel prices in Canada are on the higher side compared to the prices in the US. If you have to drive a long way to work or college it’s going to cost you much more when it comes to your living expenses in Canada. The charges for taxi per kilometer in some of the major cities in Canada like Toronto, Montreal or Vancouver could be anywhere between 1.70 CAD to 2.0 CAD. Gasoline charges per liter could be between 1.30- 1.50 CAD in these cities. Tickets for public transportation (one-way charges) could be anywhere between 2.85-3.25 CAD. You could save some money on public transportation if you choose to take a monthly pass. Canada offers a number of different sources of entertainment for its people. It is a perfect destination for people who seek adventure and loves nature. Hiking, trekking, sightseeing, and photography are quite popular in Canada owing to its beautiful landscape, nature and architectural wonders. The fees for each activity could vary from province to province. A traditional mode of entertainment like a public cinema could cost you between 13-15 CAD depending on the place you live in like Toronto, Montreal or Ottawa. To get a membership in a fitness club you’ll have to pay somewhere between 40- 57 CAD. The cost of living in Canada depends largely on where you choose to live in. Living in the countryside or a rural area could help you save a lot of money as it is much cheaper. Cost of living could also vary depending on the province too. If you have the freedom to choose a place to live in, comparing the prices of the nearby locations before making a final decision would be a good idea. If you are looking for a city life be ready to pay more like your living costs. Once you decide on the exact place you want to live in Canada it will be easier for you to decide on a budget for your living expenses.